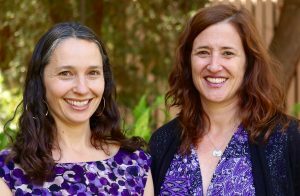 Although Laura Abrams and Dr. Elizabeth Barnert come from opposite ends of the UCLA campus, their work in their respective academic professions meets at the intersection of health and juvenile justice. A recent University of California study led by Abrams, professor of social welfare in the UCLA Luskin School of Public Affairs, and Barnert, an assistant professor of pediatrics in the David Geffen School of Medicine at UCLA, offers a powerful rationale for shielding children 11 years old and younger from prosecution and incarceration in the state’s juvenile justice system. “Children in the juvenile justice system literally meet the definition of children with special health care needs,” said Barnert, who worked with Abrams as members of a team affiliated with the University of California Criminal Justice and Health Consortium. Prior to their study, which was recently published in International Journal of Prisoner Health, the issue in California was not on anyone’s radar, they said. 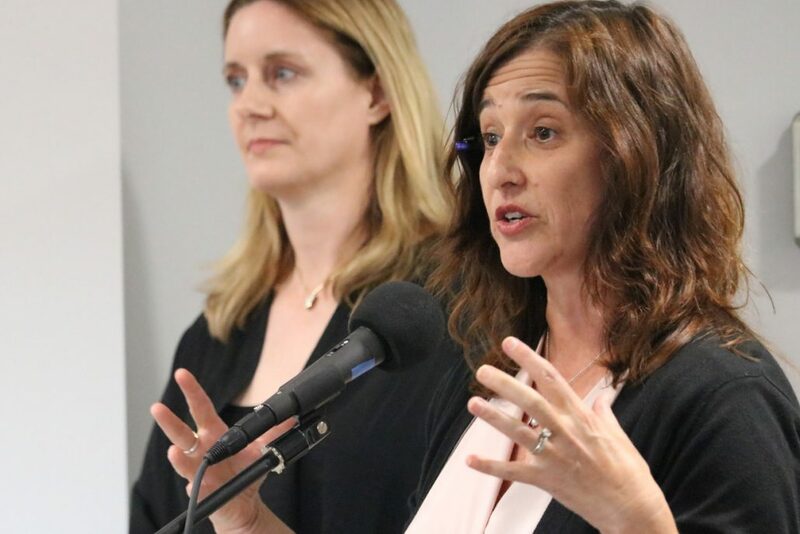 The UCLA study brought together UC experts from social welfare, medicine, psychology and psychiatry, law and criminology, as well as community partners from organizations such as the Children’s Defense Fund-California and the National Center for Youth Law. Abrams pointed out that protections for minors already built into current state law are based on the capacity or the intent to commit a crime, as well as the competency to stand trial. 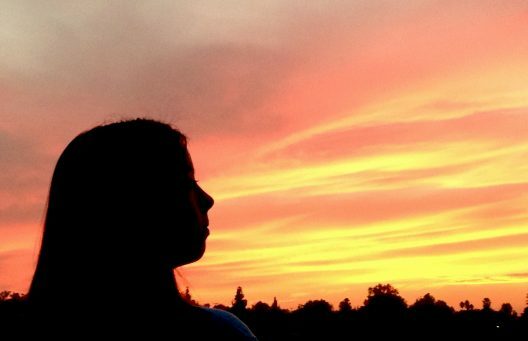 California’s 58 counties, however, set many of their own juvenile probation standards. Therefore, “there’s no way to insure, without a minimum-age law, that state laws around capacity and competency are being implemented fairly and without geographic or racial disparities. There is no statewide oversight of these mechanisms for protecting children,” Abrams said. Children should be held less culpable under criminal law, given their expected developmental immaturity, as repeatedly recognized in recent U.S. Supreme Court decisions. Children have a diminished capacity to make intentional decisions regarding participation in crimes or to understand that an act was morally wrong. Children have less developed abilities to understand court proceedings and meaningfully participate, emotionally or cognitively, in working with attorneys to wage their own defense. In its first hearing on April 4, the senate’s committee on public safety passed the bill, which was then referred to the senate appropriations committee, the next step in the legislative process. The bill is part of a package of criminal justice reform bills put forth by the legislators in March. Proposed amendments and revisions to SB 439 can be found online. Just one visit. For those whose lives are entangled in the pipeline of the juvenile and adult justice systems, the life-changing meeting might come from a family member. It could be a psychologist. Or a chaplain. Or it could never come at all. For many, though, the visitor is a volunteer — someone who can make the difference between continuing a downward spiral through the criminal justice system and turning a life around. 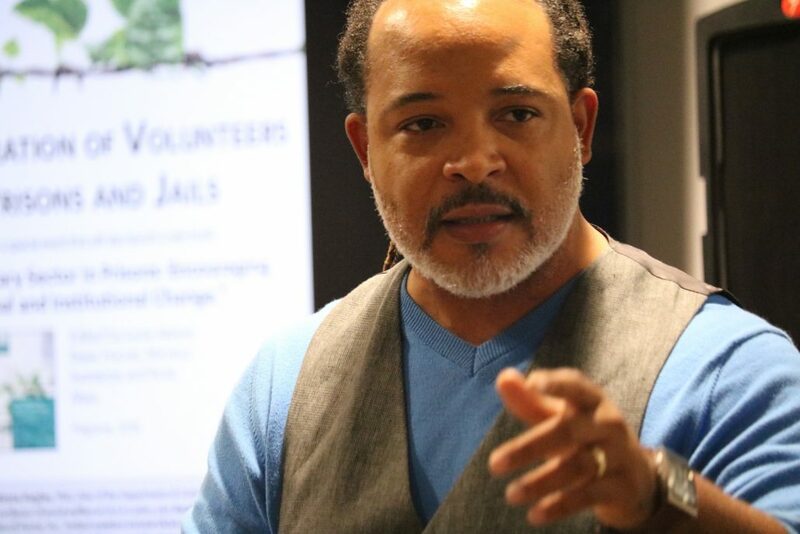 “The cycle continues until someone breaks it,” said Ernst Fenelon Jr., who was part of a Nov. 3 panel speaking about volunteers who help those incarcerated in America’s juvenile detention centers and adult prisons. The event also launched a new book co-edited by UCLA Luskin School of Public Affairs Social Welfare professor Laura Abrams. 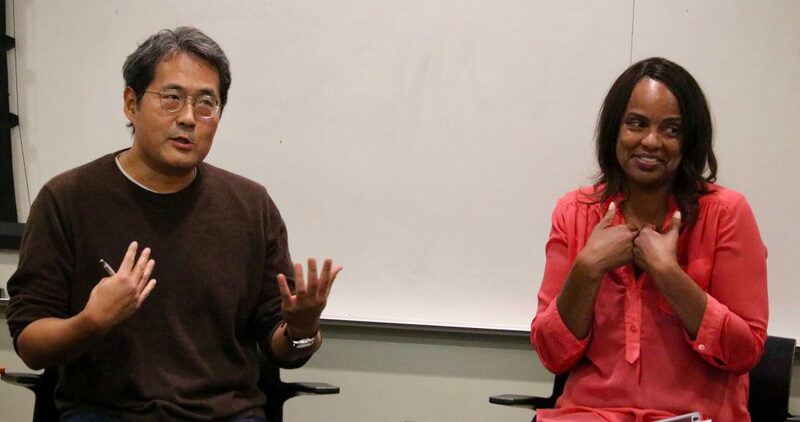 It was sponsored by the UCLA Luskin School of Public Affairs Department of Social Welfare, the Institute on Inequality and Democracy at UCLA Luskin, and the UCLA Justice Work Group. New book co-edited by UCLA’s Laura Abrams. 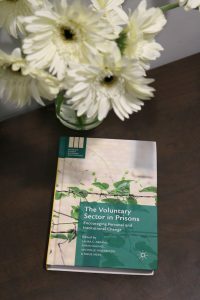 The book, “The Voluntary Sector in Prisons: Encouraging Personal and Institutional Change,” was published “to highlight many examples of great practice, of volunteer programs that make a real difference behind bars … and impacting not only those who take part in the programs, but the volunteers,” Abrams said. 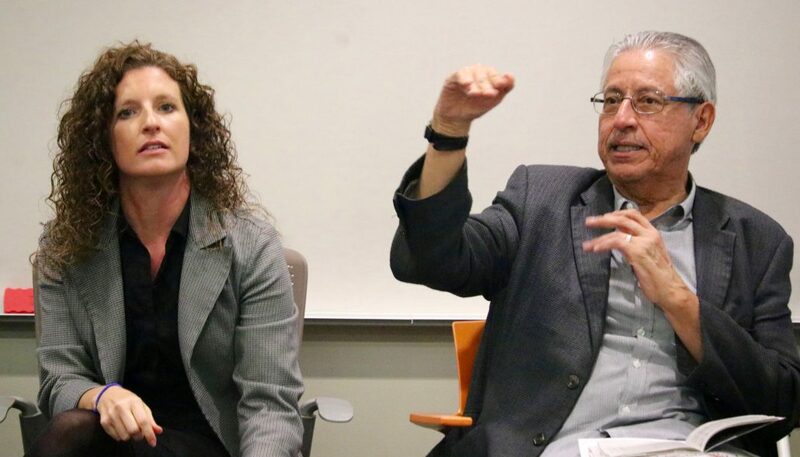 She was accompanied by one of her three co-editors, Emma Hughes, an associate professor and chair in the Department of Criminology at California State University, Fresno. “This event, and the book itself, is intended to honor volunteers in jails and prisons, juvenile and adult institutions, who devote their personal and professional time, travel long distances and overcome numerous bureaucratic hurdles to reach out to those locked on the inside, whose humanity and dignity is often limited by the very condition of incarceration itself,” Abrams said in her introductory remarks. Abrams said that the work of her colleagues and co-editors highlights many examples of great practice, impacting not only those who take part in the programs, but the volunteers as well. “Unfortunately, this evidence of good practice is not well-known, so other volunteers have to keep reinventing the wheel, rather than benefitting from the experiences of others,” she said. The co-editors pointed out that volunteers themselves are very diverse. They may be formerly incarcerated, currently incarcerated, teachers, musicians, artists, students or people of faith. A unique feature of the book is that it includes the voices of a number of people currently serving time, in addition to the 19 contributing authors from the United States, Canada and Britain. “You may be that one person,” said Fenelon, whose 25 years of experience with the California prison system includes more than 14 as an inmate. 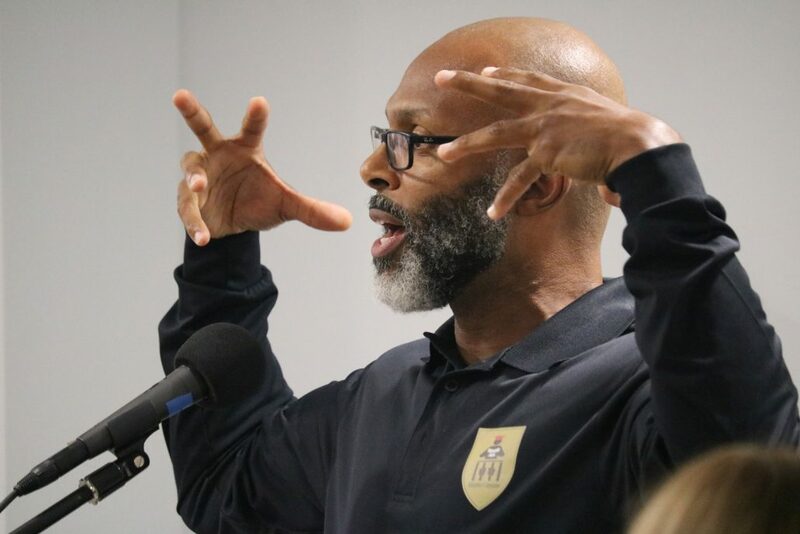 He is now the program coordinator for the Prison Education Project (PEP), a “prison-to-college” program that seeks to enhance the educational experience of inmates and parolees while providing practical tools for reintegration. He was joined by Rosalinda Vint, president of Women of Substance and Men of Honor Inc. Vint, who grew up in the foster care system, has been “that one person,” Hughes said in introducing her. 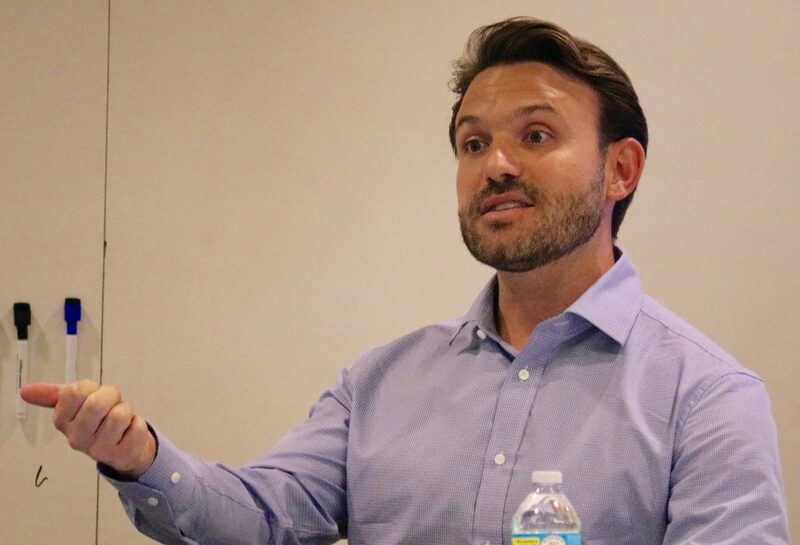 The relationship between two of the event’s speakers, Felix Miranda and Matthew Mizel, is an example of the significant difference that volunteering can make in the lives of both volunteers and those they help. Miranda was raised in Nicaragua and he “saw things that no kid should see.” He was angry when he came to the United States, eventually ended up in trouble and lost 13 years of his life to the prison system in California. Mizel, a native of New Jersey, had a successful career in the entertainment industry before becoming a volunteer with Inside Out Writers in 2003, teaching creative writing in juvenile and adult facilities. They met while Miranda was imprisoned, and the experience was transformative for Mizel, who was volunteering with the nonprofit organization founded in 1996. Mizel is now a doctoral student in the Luskin School’s Department of Social Welfare, where his research focuses on ways to reduce racial inequality in the justice system. Miranda said that at first he couldn’t understand why Mizel kept showing up to his prison visits, and more than once asked him why he would do this. 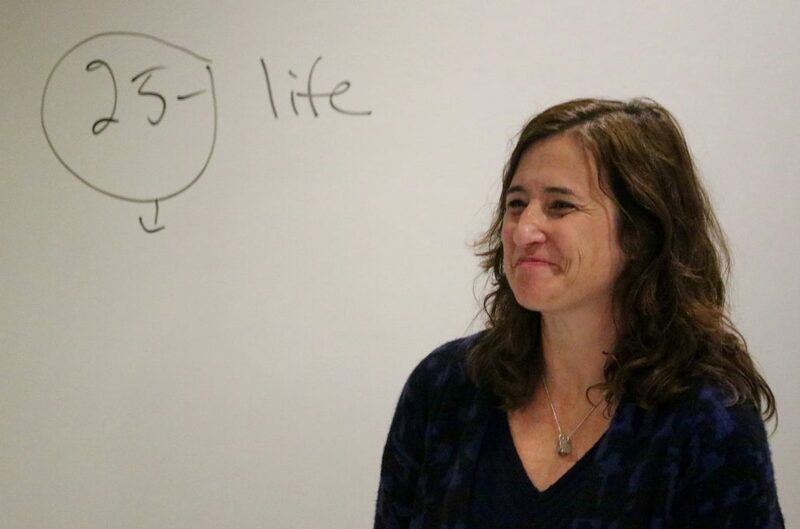 “He came every week — that’s what impacted my life,” said Miranda, who also is now a member of the Inside Out Writers alumni project. He credits Mizel “for the love and friendship he showed me,” and the writing program for the positive changes he experienced. Hughes added, however, that she is encouraged by recent changes. “I am heartened that this year, CDRC (California Department of Corrections and Rehabilitation) has a mandate to establish a volunteer advisory committee at every adult prison, with the intention of better supporting volunteer-led programs,” Hughes said. 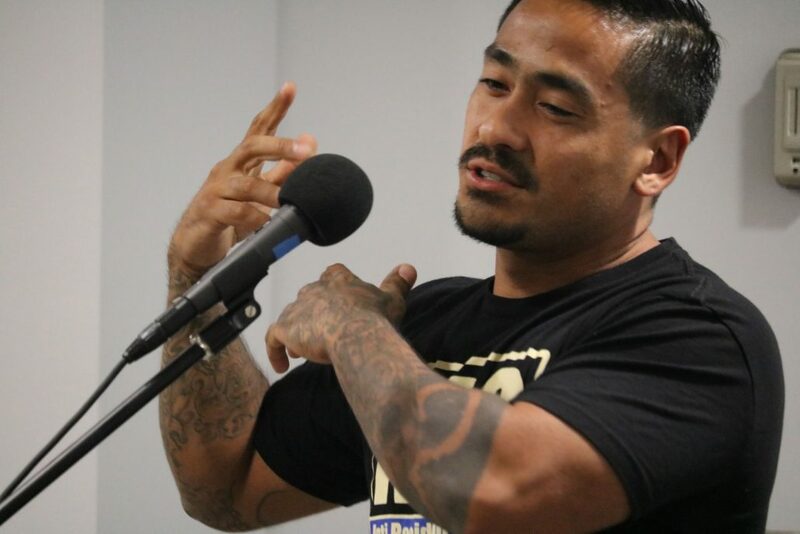 The evening’s presentations also included a moving spoken word performance by Harry Grammar, who brought students from his New Earth Arts and Leadership Center, a comprehensive re-entry center serving 2,500 young people each year who are incarcerated in Los Angeles County detention centers and placement homes. UCLA Luskin professor Laura Abrams is the co-editor of a new book about volunteers and prisons. 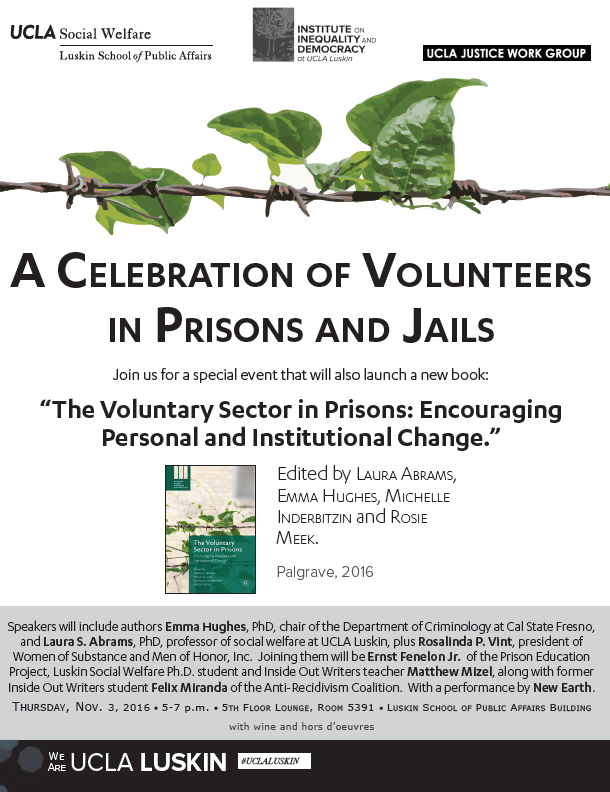 Join us in the launch of the book, “The Voluntary Sector in Prisons: Encouraging Personal and Institutional Change.” Speakers include authors Emma Hughes, Laura S. Abrams, Rosalinda P. Vint, Ernst Fenelon Jr., Matthew Mizel, Felix Miranda, and New Earth. James Anderson has earned three college degrees, all of them in the Oregon State Penitentiary where he has been since he was 17. Also there is Joshua Cain, currently working toward his bachelor’s degree. 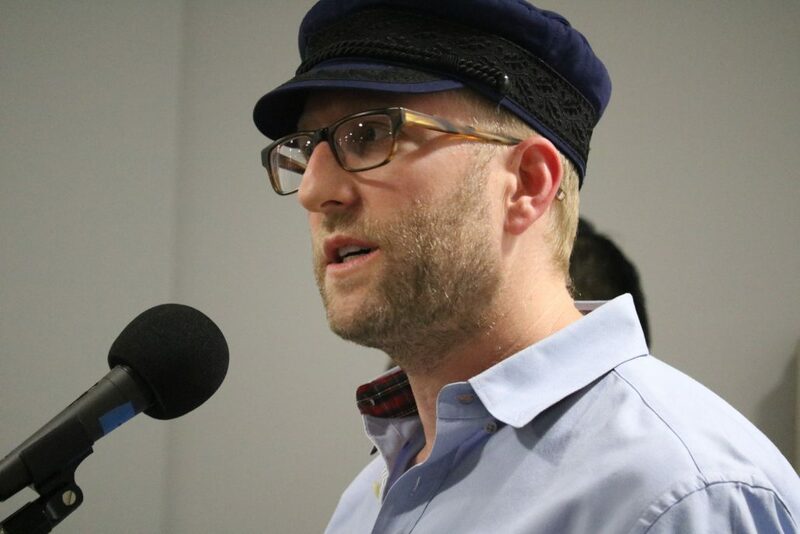 And Trevor Walraven, like Anderson and Cain, is a longtime volunteer in prisoner empowerment programs. Now in their 30s, these members of the “Lifers Unlimited Club” at Oregon State Penitentiary are well into their second decade of incarceration, serving life sentences for crimes they committed as young men. All three are contributors to a new book co-edited by UCLA Luskin School of Public Affairs social welfare professor Laura Abrams and her colleagues from the United States and the United Kingdom. The prisoners’ voices are included in “The Voluntary Sector in Prisons: Encouraging Personal and Institutional Change,” published this month as part of the Palgrave Studies in Prisons and Penology series. The book is a collection of scholarly articles looking at various dimensions of the voluntary sector’s influence on prison life. It includes analyses and examples of people who volunteer their time to help within the prison walls and in the larger community. It also examines the importance of the voluntary sector in reshaping the role of prisons and the services they provide as it relates to prison overcrowding and mass incarceration policies. Citing research by Luskin colleague Michael Stoll and UC Berkeley co-author Stephen Raphael, Abrams noted that “currently there is increasing public and bipartisan governmental recognition in the USA that the war-on-drug policies have largely failed to halt crime or create a climate of public safety.” In addition, Abrams said that over the past several decades correctional facilities in the U.S. have become increasingly punitive and less rehabilitative — a trend that volunteers have always contested. “As such, we are witnessing a significant shift toward beliefs long held in other nations — particularly in Western European and Scandinavian countries — that incarcerated people need education, skills and other forms of rehabilitation in order to succeed upon their release, and that humane treatment of prisoners may contribute to a more peaceful society as a whole,” she said. The book is the result of a 2014 conference of doctoral students and faculty convened by one of the co-editors and contributors, Rosie Meek, chair of the School of Law at University of London Royal Holloway. “This relates to my research because so many correctional treatment and reentry programs are staffed and run by nonprofit organizations and volunteers. This book pulls together a study of social welfare systems with criminology — my two areas of scholarship,” Abrams said. Chapters of the new book address the importance of community volunteers and nonprofit organizations in providing rehabilitative programming in prisons and jails, as well as what citizenship and democracy mean even in the prison environment. Other chapters focus on how prisoners, as volunteers, mentors and leaders, can contribute to their communities and the value and effectiveness of peer support in prison.